The Ballyhoura Way is a 90km way-marked trail. It follows the route of the Irish Chieftain O’Sullivan Beare who marched from Castletownbere to Leitrim between the 31st of December 1602 and the 14th of January 1603. There are walks along this route for every type of enthusiast, whether interested in a country stroll, or more of a challenge. In total there are twenty-two loop walks in Ballyhoura Country. Maps for these walks are available at the cottages. 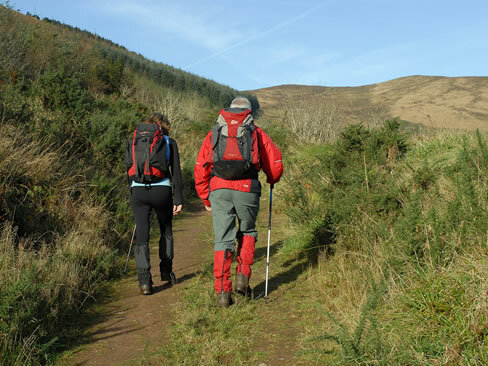 There are over 1,400km of marked walks in Ballyhoura, with many places of interest to visit along the way. With the magnificent expanses of mountain and valley, it is no surprise that the area offers much in the way of walks, from a leisurely stroll through peaceful forest tracks to the Ballyhoura Way long distance walk. Maps are available in selected shops throughout Ballyhoura Country including the Tourist Information Office, Kilfinane, Co. Limerick. Map Boards are located throughout Ballyhoura Country at 22 different locations. These include Kilfinane, Ballyorgan, Greenwood, Kildorrery, Kilmallock, Bruree. Galty More is the third highest mountain in Ireland (3,684 ft) and can be climbed from the south and west. The north climb is for experienced hill-walkers – not for the faint hearted but definitely worth the effort for the view. It is also possible to visit the “Galtee Lakes”, where legend has it witches were drowned, as the lakes are reputed to be bottomless. An excellent way of getting to know the Ballyhoura Countryside is to allow a trained tour guide lead the way. It is a relaxing way to learn the names of different birds and flowers in the region – some unique to this terrain, while at the same time getting a fuller understanding of the history and heritage of this scenic area. For more information on guides available, contact the Tourist Information Office, Kilfinane, Co. Limerick. 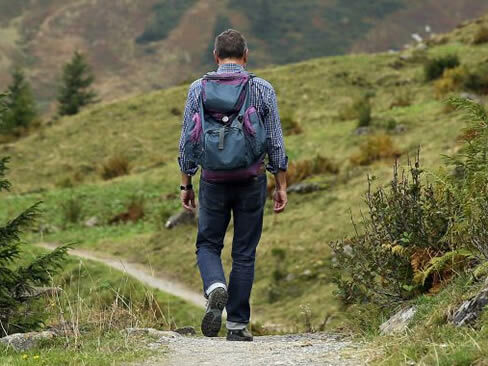 The Ballyhoura Bears Walking Club organises walks at different times during the Summer months, commencing from around the Kilfinane area. Visitors are welcome to join them. These guided tours centre around four locations around Lough Gur. Become familiar with Ireland during the Neolithic Period at Grange Stone Circle where the tours commence. Moving to Teampall Nua (New Church) you will find out more about the Earls of Desmond, the Plantation of Munster and the vaults and graves of Teampall Nua. At the Megalithic Tomb, hear about burial practices and local customs before finally hearing of the Legend of Gearoid Iarla, the siege of Lough Gur Castle in 1641 and Lough Gur itself at its lakefront, where you can also visit the Centre on day tours, if they so wish. This festival is organised in conjunction with the Ballyhoura Bears Walking Club. It is a highly popular event with walking over three days and with graded walks suited to walkers of all levels/ age. Many people return year after year from different countries and counties, to participate in this enjoyable festival.